Heating Mats Outperform Shovels and Salt for Deicing | KEMF Inc. 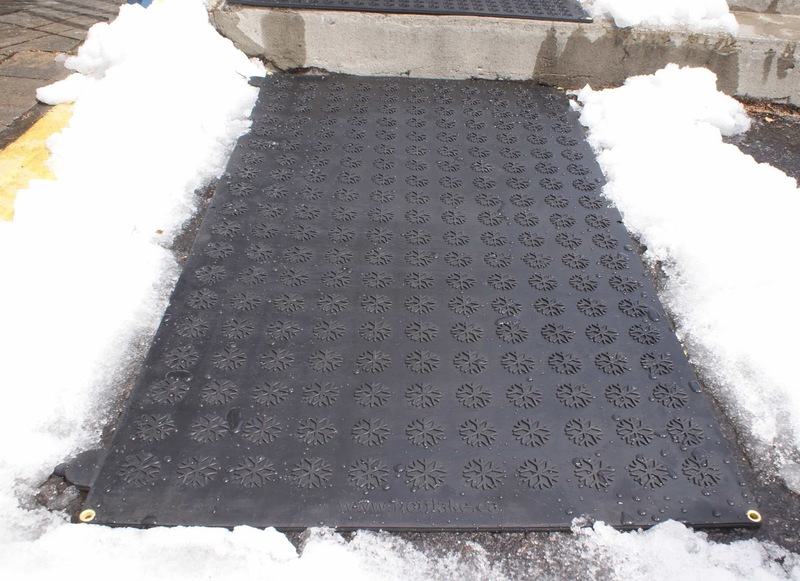 When it comes to melting the snow and ice that accumulates on sidewalks and driveways across Canada, the heating mat is an innovative improvement over traditional salt-and-shovel deicing. Using heating mats is more reliable, more energy efficient and more environmentally friendly than spreading salt. They provide safer, consistently clear access routes to homes and buildings for pedestrians and drivers alike, and with far less effort and waste. Canadians have earned a reputation for being actively eco-conscious. For many Canadians, the environmental damage caused by mining and spreading tons of deicing salt far outweighs the much smaller carbon footprint of electric heating mats. Unlike salt reserves, quality heating mats last season to season and won’t ever spill. Replacing deicing salt with heating mats makes homes safer and more eco-friendly in winter. The best heating mat brands completely encase the electrical wiring in heavy-duty, waterproof rubber—which is itself a renewable, recyclable resource. What’s more, they can melt up to two inches of snow or ice per hour, so they’re more dependable than salt. Using heating mats not only reduces the industrial pollution salt production generates but also conserves human energy by eliminating the need to shovel salt or snow wherever they’re in use. Anti-slip heating mats are a visible layer of insurance wherever it’s important to safeguard residents, guests, attendees or employees from slip-and-fall hazards. People prone to missteps—like the elderly, the physically challenged or small children—can tread much more steadily on a sturdy, snow-free rubber surface. In fact, small pellets of unmelted salt can make walking more dangerous for pedestrians who aren’t confident in their balance. Deliveries are also easier when the path is clear of cold-weather hazards. For driveways and garages, heating mats again outperform salt for both safety and efficiency. They’re built to withstand the tough tire and foot traffic common at office buildings, arenas, hotels or homes. The best mats are designed to interconnect (up to 15 amps per area) and are heavy enough to stay put where they’re placed. They can also be screwed into place if need be to assure a consistently clear path of access for people and vehicles. Since 1995, KEMF Life Simplified has been Quebec’s source for superior quality in heating mats, gutter protection systems and other products designed to make life easier. Explore the store online, and discover the advantages of Hot-Blocks and Hot-Flake, KEMF’s Canadian-made electric heating mats for efficient, easy commercial and residential deicing.